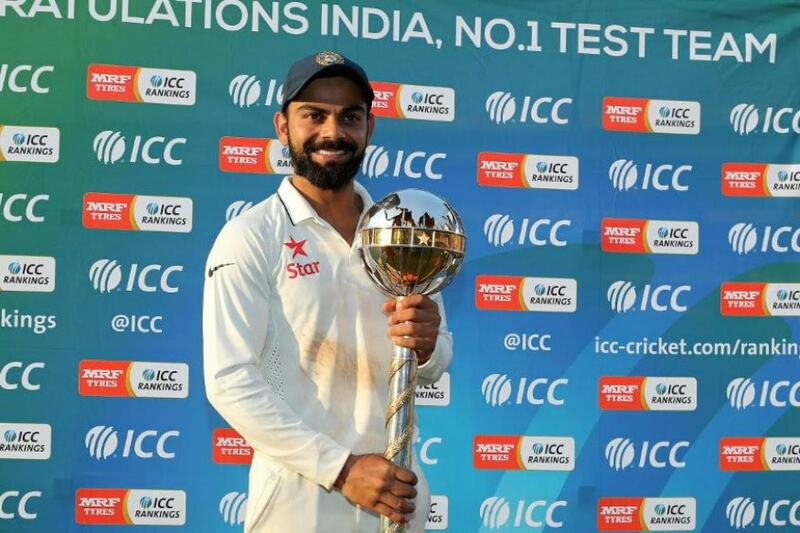 India have retained the ICC Test Championship Mace and bagged USD one million dollars third year running after finishing atop the Test rankings on the cut-off date of April 1, the world body stated in a release on Monday. India had a memorable season in the longest format of the game where they became the first-ever Asian side to defeat Australia in a Test series 2-1 on their home soil. Captain Virat Kohli said that winning the Mace thrice over is proof of how dominant India have been in the longest format of the game in recent times. “Retaining the ICC Test Championship Mace once again is something we are all really proud of. Our team has been doing well across formats but it gives us extra pleasure to come out on top of the Test rankings. We all know of the importance of Test cricket and of how only the best can prosper in the format," said India captain Virat Kohli. New Zealand, after series wins in the UAE against Pakistan and then against Sri Lanka and Bangladesh at home, ensured a second-place finish on the table. They bag a purse of USD 500,000 finishing with 108 points, eight behind India's 116. South Africa, who were placed second last two years, dropped down to third on the charts after a shock defeat at the hands of Sri Lanka at home. They finish on 105 points and will get a prize money of USD 200,000 while Australia who edged out England on 104 points take home USD 100,000. Kane Williamson, the New Zealand captain, said it was an "awesome" achievement for his side to finish second in the Test Team Rankings. “It’s an awesome achievement for our side to finish second in the ICC Test Team Rankings and as a team we should be very proud. It’s come off the back of a lot of hard work and perseverance; not just by the eleven guys on the field, but the entire squad and support staff," Williamson said. Incoming ICC chief executive Manu Sawhney congratulated India on retaining the Mace while emphasising the importance of Test cricket. He further stated that he was looking forward to the start of the World Test Championship after the World Cup in May-July. "I congratulate India on retaining the ICC Test Championship Mace and appreciate the passion Virat Kohli's team has shown across formats over the past few years. Test cricket has been enjoying a purple patch over the last couple of years with more positive results than ever and a genuine competitive balance between nations," Sawhney said. Nine Test nations will compete across 27 series and 71 Test matches to reach the World Test Championship Final in 2021 where the champions will be crowned.